Right then. In the interest of not letting it go several months between posts anymore, I’m trying to squash the little voice in my head going “shut up shut up nobody cares about what you have to say” and talking about things. 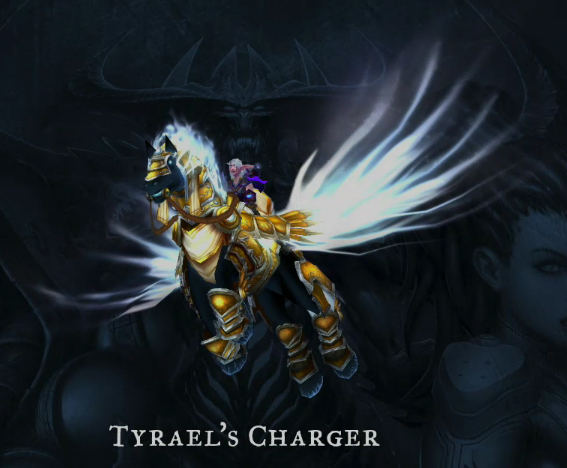 Specifically, “Mists of Pandaria” and the various announcements made at this year’s Blizzcon. Because everybody’s talking about that anyway, might as well join in, right? All thoughts in no particular order, just as things come to mind. 2. People’s reactions to all the announcements. Getting this out early because it’s getting on my nerves – before you open your mouth, make sure you know for certain what you’re talking about. This includes “but I don’t want my panda lady to look exactly like the panda dudes just with a bow on her head!” (it was a joke, get a clue), “but with these talents there will no longer be any difference between specs” (they’re keeping specs and spec-based abilities, talents are something on top of that rather than what you pick to define your spec, again, get a clue), and so on. Argh. 3. The new expansion being called Mists of Pandaria. Color me unsurprised. The moment MMO-Champion pointed out that Blizzard had trademarked “Mists of Pandaria” and Blizzard started being all “you guys this is not necessarily the next expansion we trademark stuff all the time honest” it was blindingly obvious it was, in fact, going to be the next expansion. 4. Pandas. Leaving aside the shrieks of “but pandas aren’t canon!” (uh hello, Chen Stormstout would like to disagree with that)… I’m holding my final judgment until I actually see how it all plays out, but I can’t help but like the idea of pandaren as a race. They sound like good fun to play, and assuming the female model looks good (no, I still can’t manage to play a male character, I’ve tried, it doesn’t work – I’m not sure what that says about me) I’ll definitely be creating a pandaren character. Also, the racials are fun. And if a lot of serious PVPers end up race-switching to pandaren because of the Quaking Palm racial, I will be endlessly amused. Panda invasion! 5. The new talents look interesting. Again, I’m holding my final judgment until I actually see them in action and see all the details (some of the druid talents in the specific are very vaguely worded right now – I might discuss them more in depth in another post, we’ll see), but I like the idea as it was described. 6. Pet battles. I’m looking forward to this so much, you have no idea. I currently have 169 vanity pets and I can’t wait to level them all up and fight with them and catch wild pets and stuff. Yes, this is Pokemon, shut up, I’m going to enjoy this. If this ends up not being actually released I’ll be sad. 7. Dungeon challenge modes are yet another thing I’m really looking forward to. I like the idea of having cosmetic gear as a reward (and I can absolutely see myself spending tons of time trying to perfect a particular challenge so I can get the last piece of gear I need for a fancy new outfit), I like the idea of leaderboards showing who’s best at each challenge, and I really, really, really like the idea of gear normalization for them. These things should be about who has the highest skill, not who has the best equipment and can therefore outgear the challenge entirely. 8. Account-wide achievements. I’ll be sad if they don’t manage to implement this. “So for example we could say, ‘Get every profession to max level,’ which would be really cruel to do for one character, but across your entire stable of characters would be kind of fun.” Altitis – validated! 9. Weapon changes – both happy and sad about this. Happy because this simplifies things; sad because there are some items that have been removed from the game, and I still have them on one character – but with the change, they’ll be only vendor fodder and nothing more. For example, my hunter’s Lok’delar, Stave of the Ancient Keepers, or her Arcanite Ripper. I was vaguely hoping that they would at least let people equip weapons they no longer can (melee weapons for hunters, ranged weapons for warriors and rogues) in a cosmetic slot, but somebody asked about that during one of the Q&A panels and the response was “we have no plans to do that currently.” Boo. 11. Monks. Yeah, I’m gonna roll one. This shouldn’t be surprising to anybody who knows me and my stable of alts. What I don’t know yet is whether I’ll roll a pandaren monk or go with one of the existing races and make the pandaren one of the other classes I still haven’t managed to level to cap – rogue or shaman. Unless I manage to roll a rogue and a shaman and get them both to 85 before the expansion hits, which might happen – in which case it’ll be a pandaren monk. Unless I end up not liking pandaren when I try them out during the beta, in which case it’ll be a non-pandaren monk. And it’ll probably be a tank, unless I end up really disliking the monk tank playstyle. Is there therapy for tank-addicted people like me, I wonder? 12. No flying until max level is very, very good. I liked exploring the new world on foot during Burning Crusade and WotLK, and it’s one of the things I felt was missing during Cataclysm. Flying, as awesome as it is (ask me about my obsession with flying! ), makes the world seem smaller. 13. Yessssssssss heroic Scholomance and Scarlet Monastery. I was hoping for heroic Stratholme as well, but alas. Maybe someday in the future. Also world raid bosses yaaaaaaaaaay! And… I think that’s it. I might add some more comments as I re-watch the entire Blizzcon (see, buying a virtual ticket is good for something other than getting a Murkablo). This entry was posted on October 24, 2011 at 5:36 pm and is filed under Miscellanea, Patches with tags PANDAS!, tl;dr, yay a new mount. You can follow any responses to this entry through the RSS 2.0 feed. You can leave a response, or trackback from your own site.